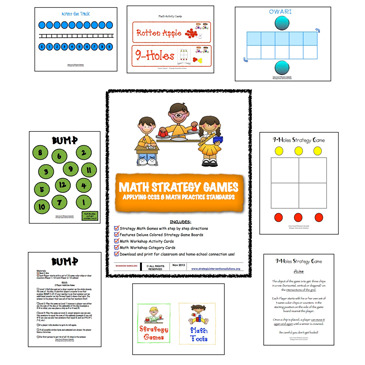 Math Strategy Games can help reach out to K-8 mathematical learners by incorporating the CCSS 8 Mathematical Practice Standards. These games are great for use for in classrooms and home-school connections. This digital download is intended for individual classroom use only.